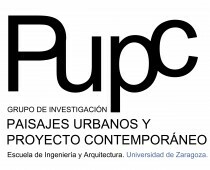 The purpose of the project is to address one of the biggest urban challenges faced by our cities today, as a result of the changes and innovations experienced and assumed by the Spanish society: to look for options to intervene in the districts of blocks built between 1955 and 1975 in response to an accelerating demand of massive social housing on the periphery of European cities. Many of these neighborhoods are undergoing a process of pressing urban decay and present major problems in terms of maintenance and energy behavior but, in turn, are important opportunities for urban revitalization. This work aims to contribute to overcome the conventional methods of intervention, following the guidelines set by the European Union and international declarations, in order to define performance criteria in line with the critical cataloging manuals that propose “best practices”. To this end, a comprehensive view from a multidisciplinary and international perspective (with the specific support of a team of external collaborators in the first phase of the investigation) will help clarify and systematize the conditions in which interventions of renovation, rehabilitation or urban regeneration of such residential complexes, that modernity has left us, must be carried out. The initial hypothesis refers to the poor urban and environmental quality of most of modern residential complexes, that is, of those known as “neighborhoods of blocks and towers” built in the Spanish and European cities during the decades of 1960 and 1970. During the decades of great urban growth experienced by the majority of European cities (from 1950 and especially during the 1960s and 1970s), numerous sets of mass housing were built in urban peripheries. Despite the national and local differences, urban and architectural visions prevalent everywhere are heirs of functionalist urbanism of the Athens Charter and of the so-called Modern Movement. Since the late 70s, these conceptions enter into crisis, mainly due to the observation of the processes of urban decay and, more recently, the poor results in terms of maintenance and energy performance. In the interpretation of these processes still dominate too sectorial and even contradictory views both by conventional historiography and by public and private agents involved on residential complexes. The lack of a theoretical and technical consensus in this area hampers decision-making by public administrations. On the other hand, the sociological literature tends to homogenize cases and problems. One of the objectives of the proposed project is precisely to provide a comprehensive, analytical and reflective vision, with an international perspective, that helps to address the great challenge of providing concrete solutions to this issue.